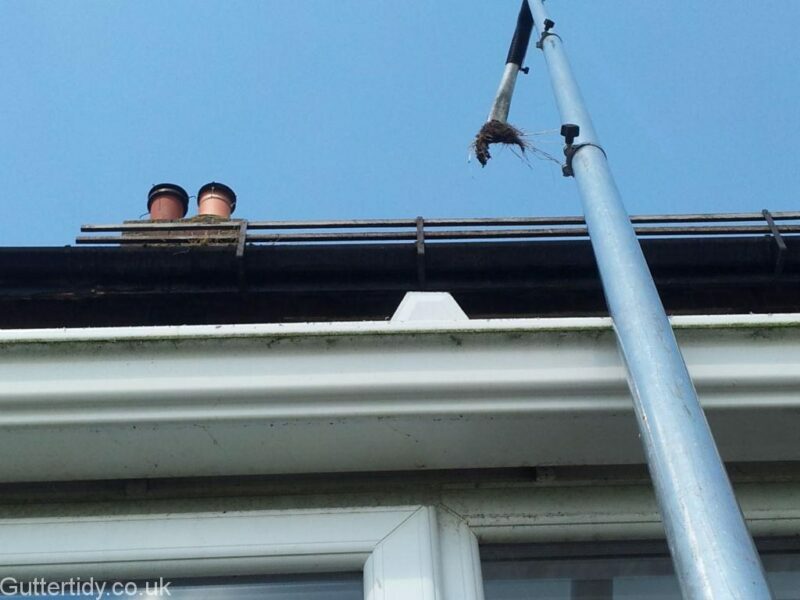 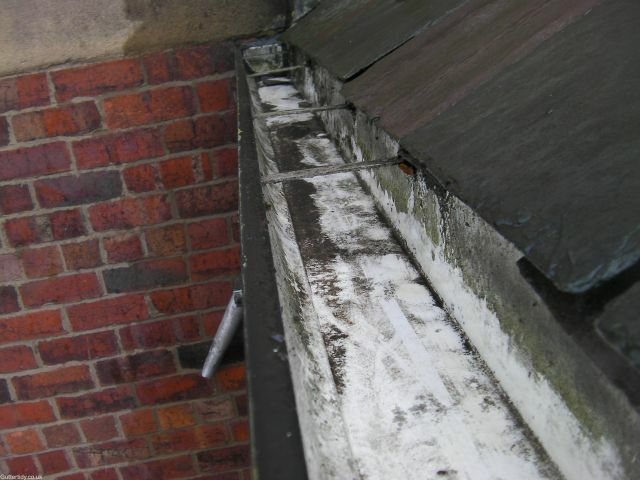 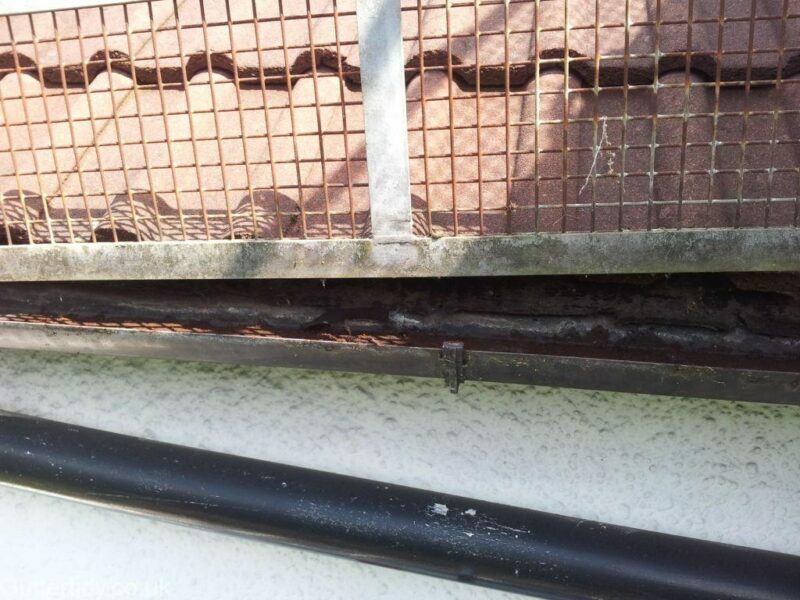 Blocked guttering is without question one of the causes of damp in homes and buildings. I am in a position to be able to collect evidence on this and present it in a case study manner. 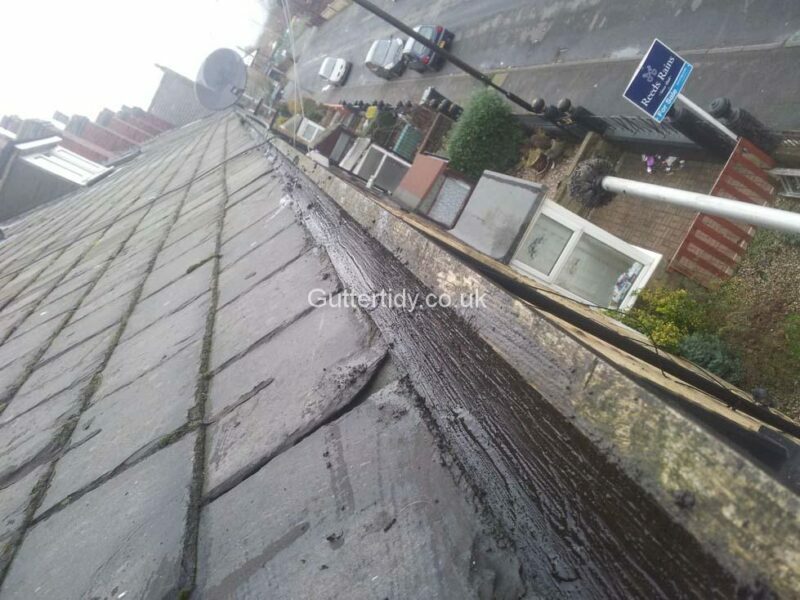 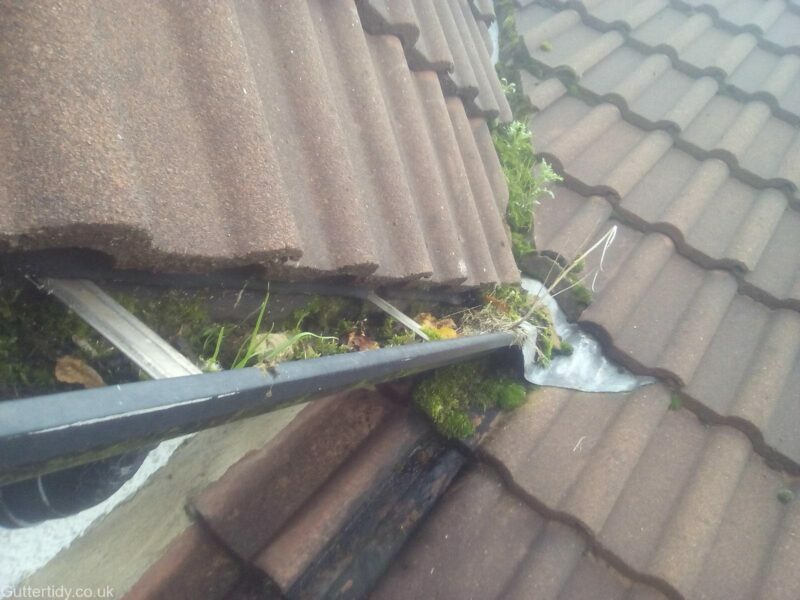 Whilst I am by nowhere near qualified to speak authoritatively on other causes, there are some links and other suggestions at the bottom of this page to try and help identify other causes should it not be the guttering. 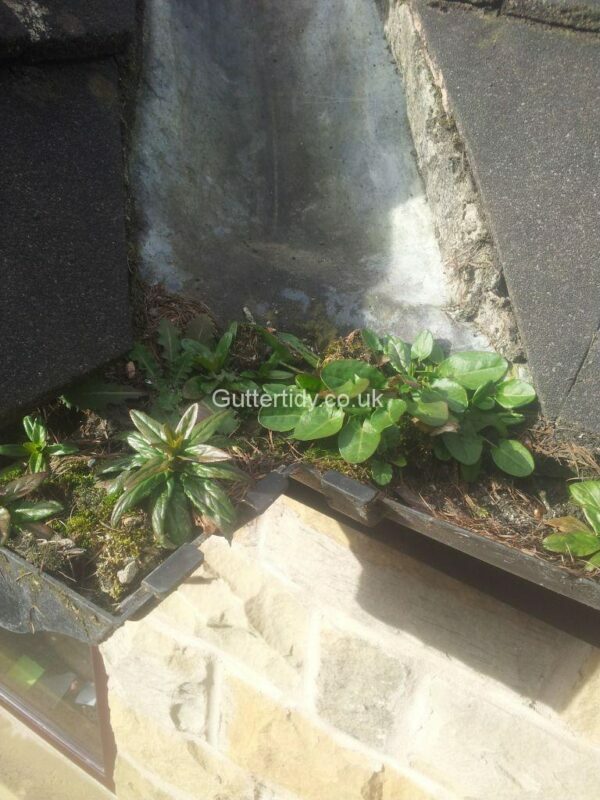 I wholehearted believe that this damp patch has been caused by the leaking gutter above. 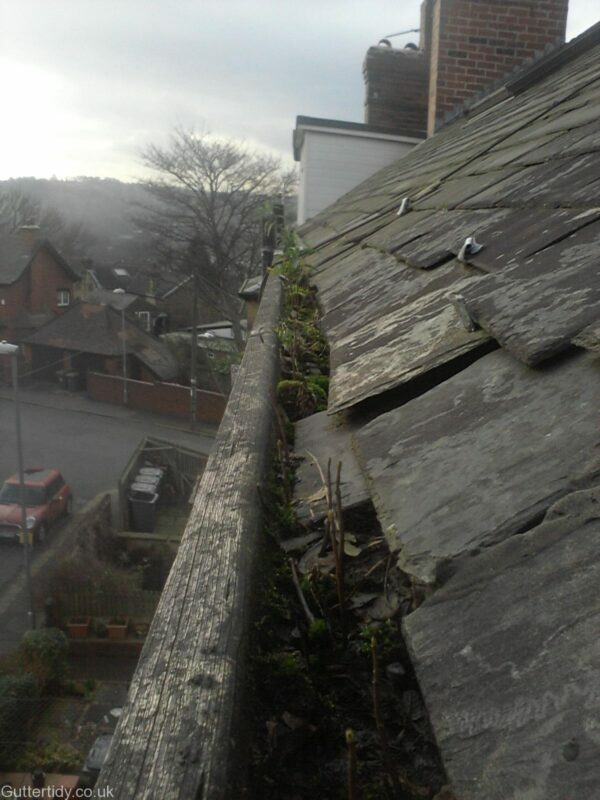 This has been repaired and the guttering cleared. 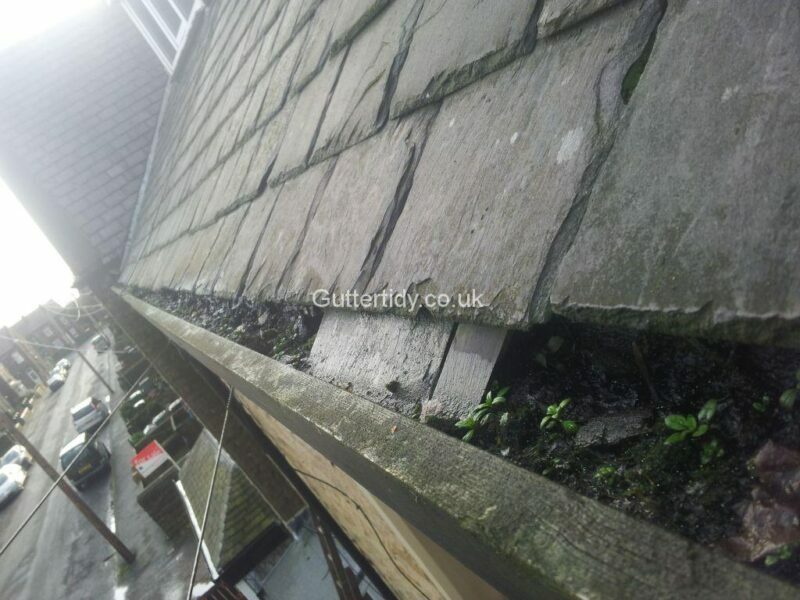 A combination of blocked guttering and a missing seal has created a gap in the joint a subsequent damp patch on the ground. 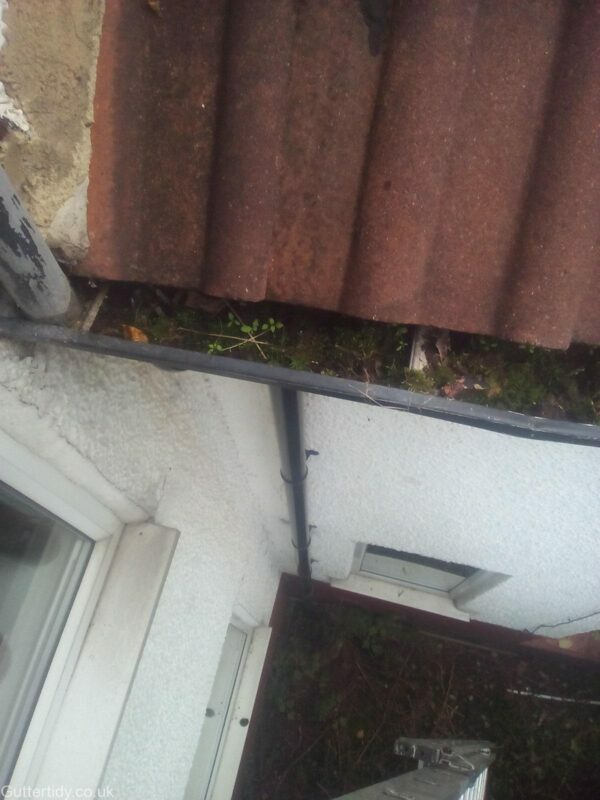 However, this is more interesting because the damp has spread all along the first 3 courses of the extension, so this may be only adding to an already existing problem. 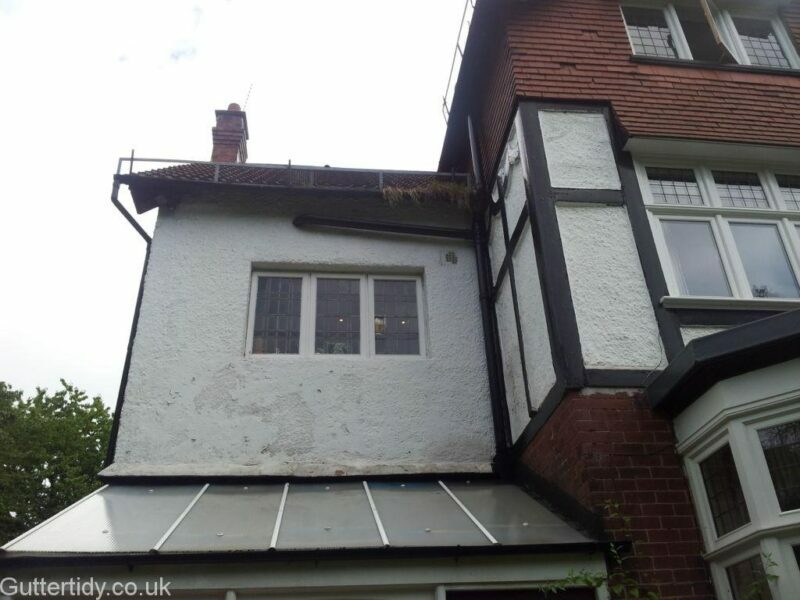 Fortunately, the owner has agreed that they will keep me updated and send me some photos every couple of weeks or so, to see any changes. 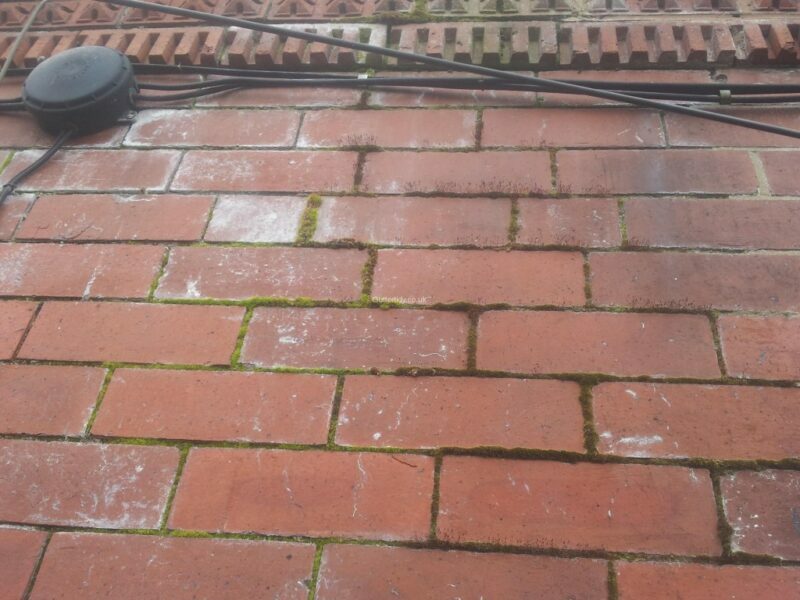 Hopefully, with some good weather, it will dry up soon. 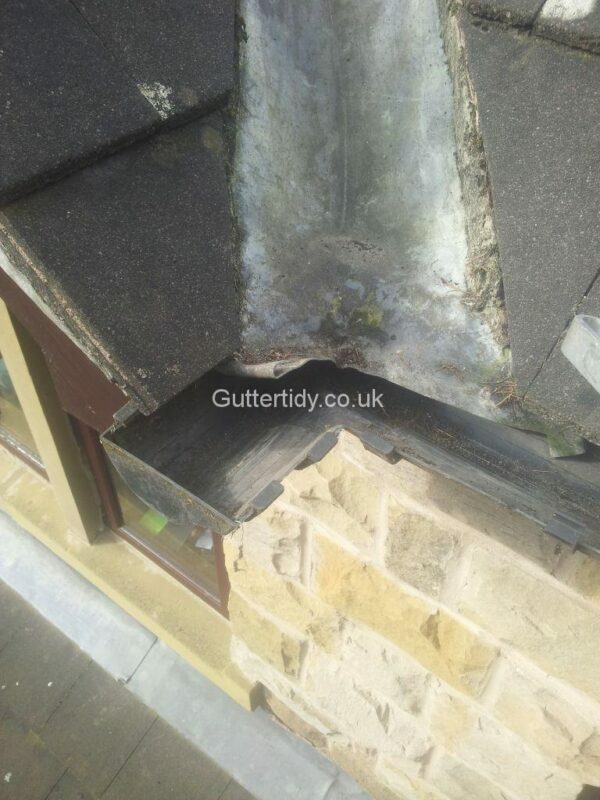 Seal from joint missing and guttering coming away from joint. 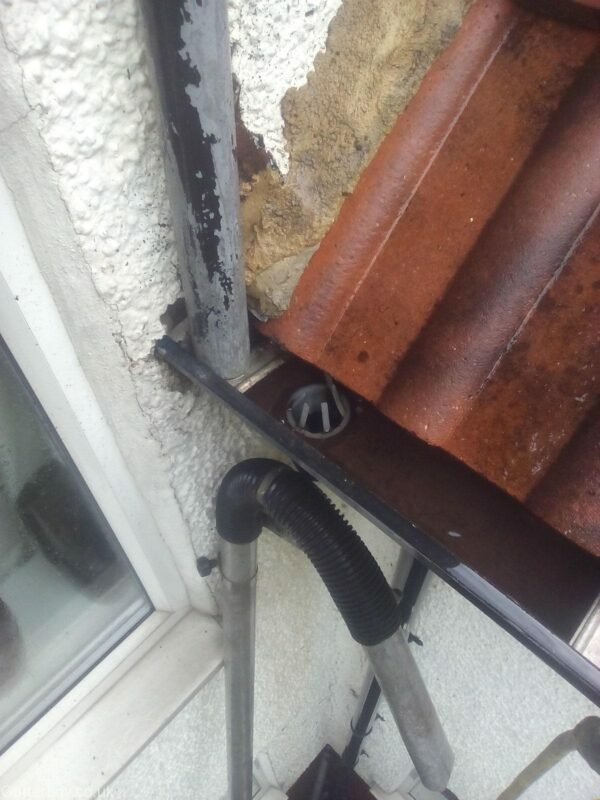 Not a house I’ve worked on, but a pretty obvious example of what a persistently concentrated flow of water can do to a property, if not using the guttering and downpipes. 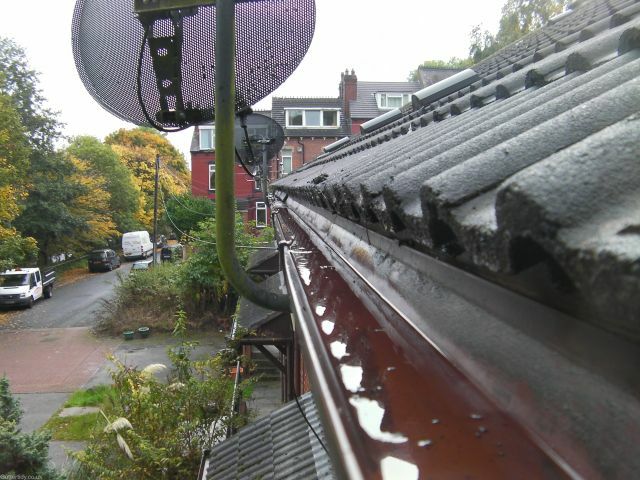 Broken downpipes and leaky guttering can lead to damp in your home. 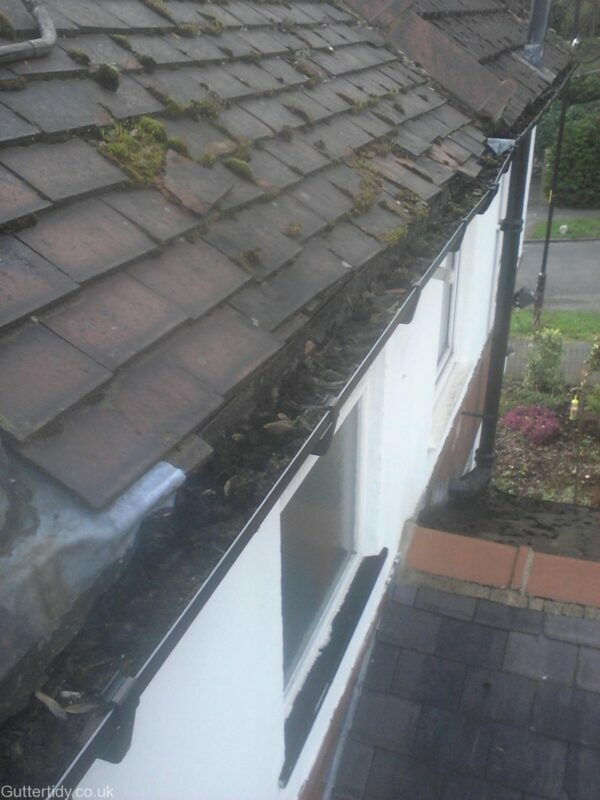 I can’t remember the exact conversation on this but the water had been flowing down the walls for some time and you could see how stained the exterior wall was, causing problems in their front room. 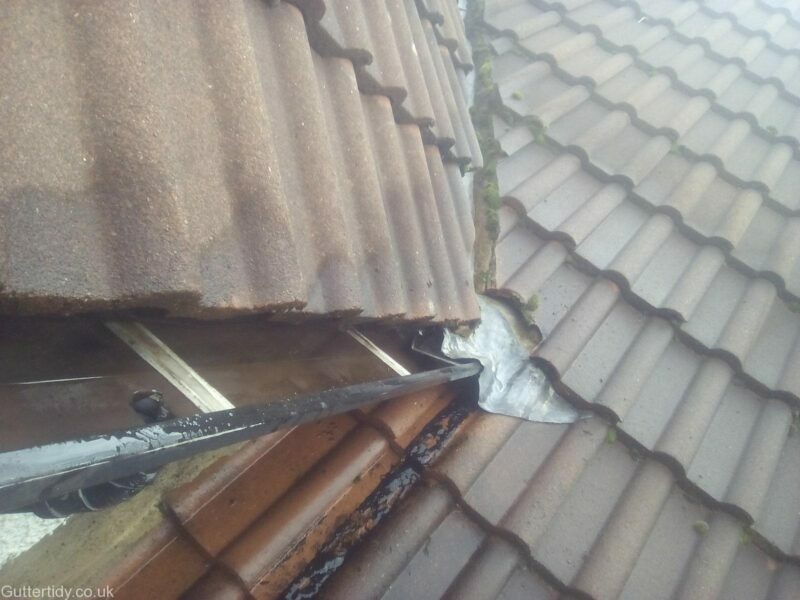 However, there was also some type of coal shoot to the side of the leak, so a massive issue had occurred in the basement too. 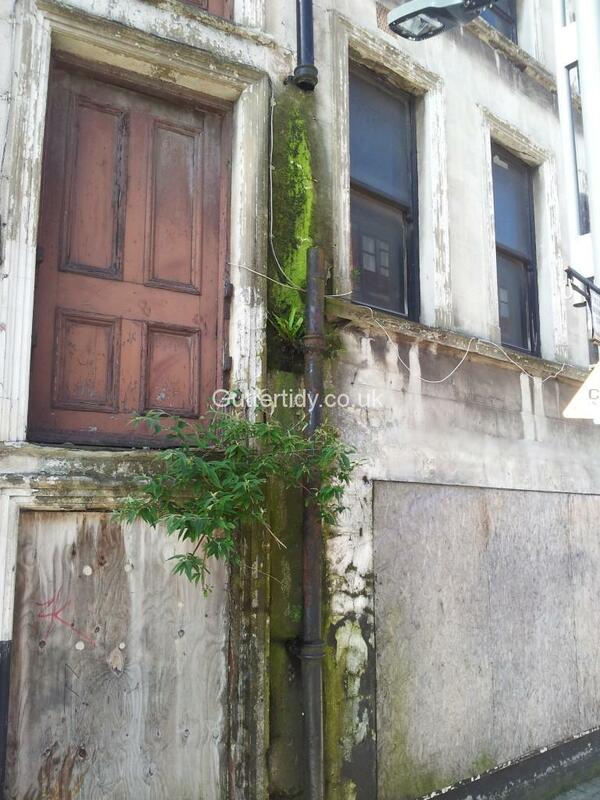 Anyway, got a nice email a few months later. 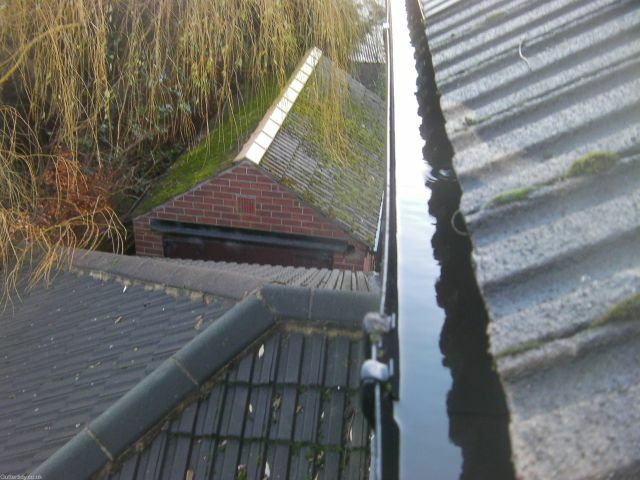 I hope you are very well and had a great Christmas and New Year break, although I appreciate it was a long time ago now. 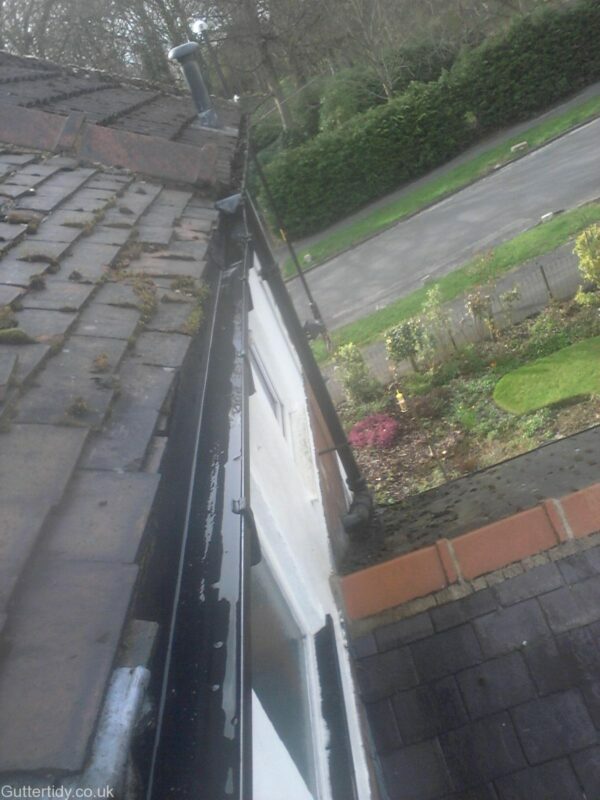 I wanted to drop you a line and say thanks for your help in sorting our gutters out. 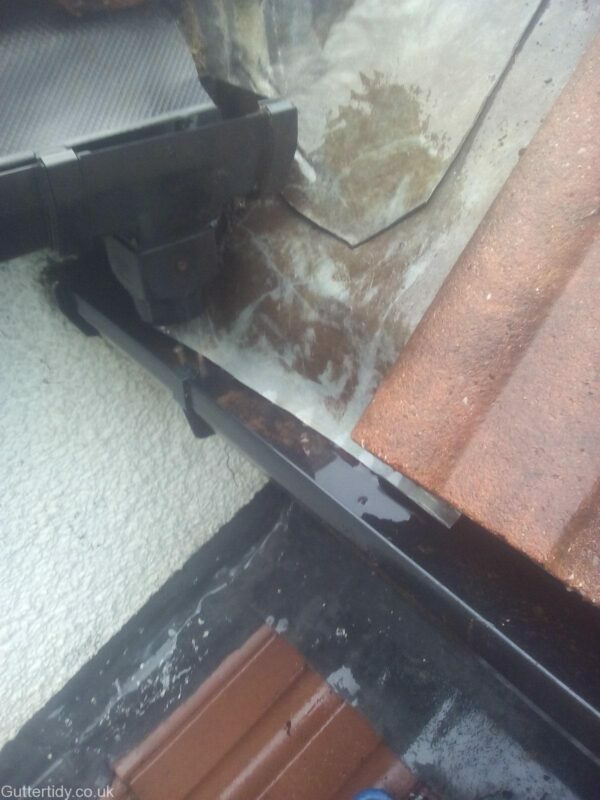 The leak in the cellar is no more as a result of sorting out the blockage. 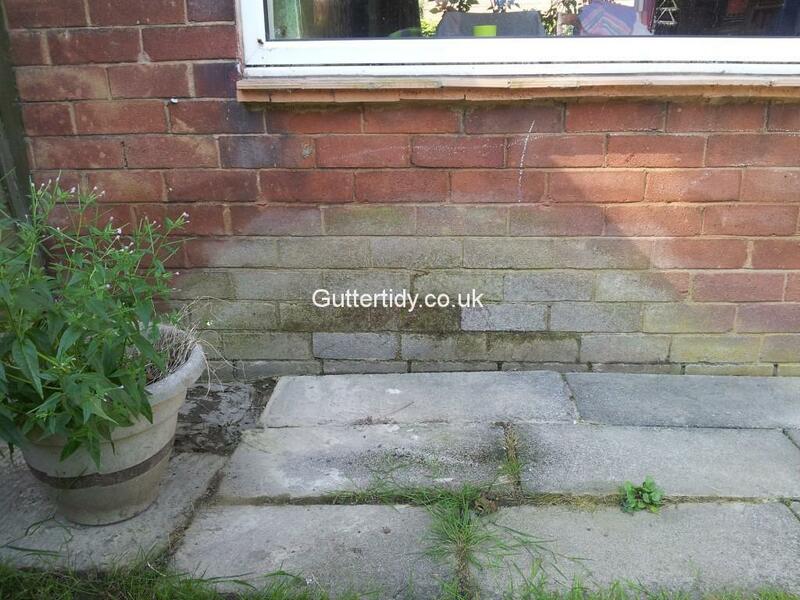 This will allow us to sort a few other things out once the walls have dried out in the spring/summer. 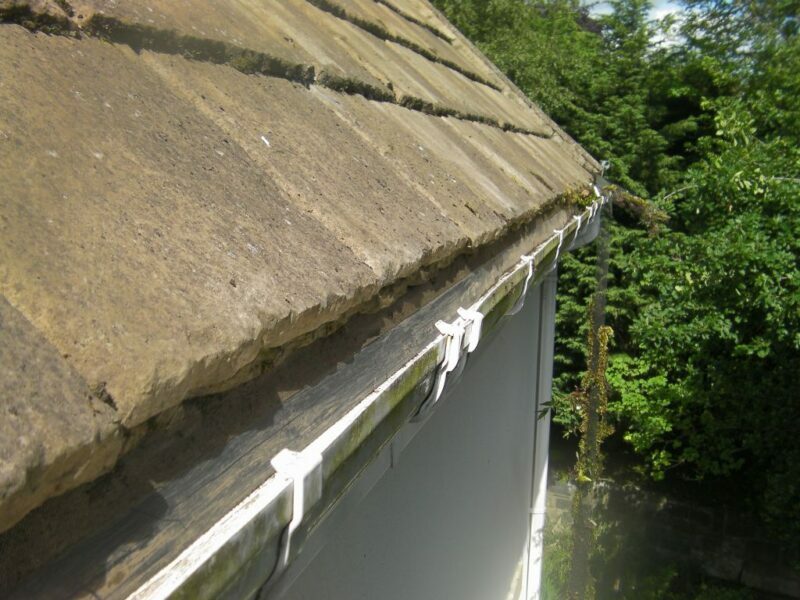 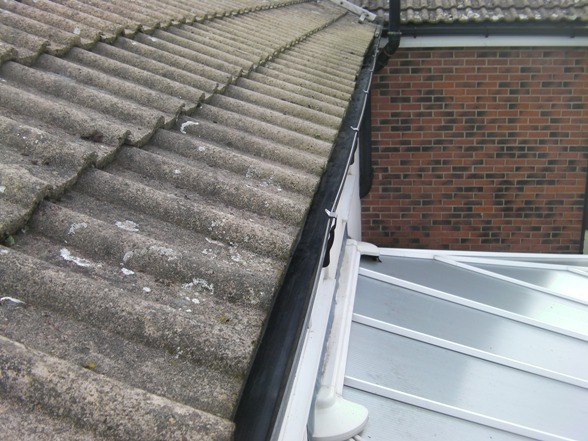 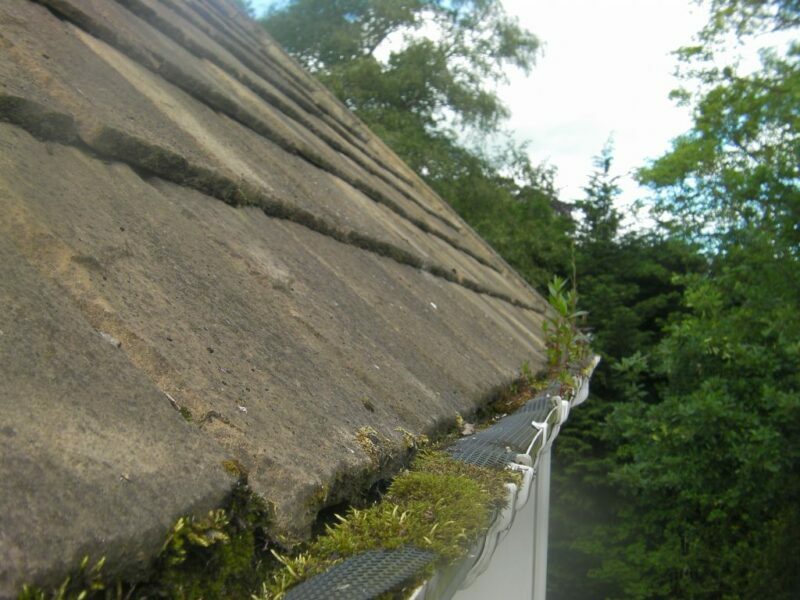 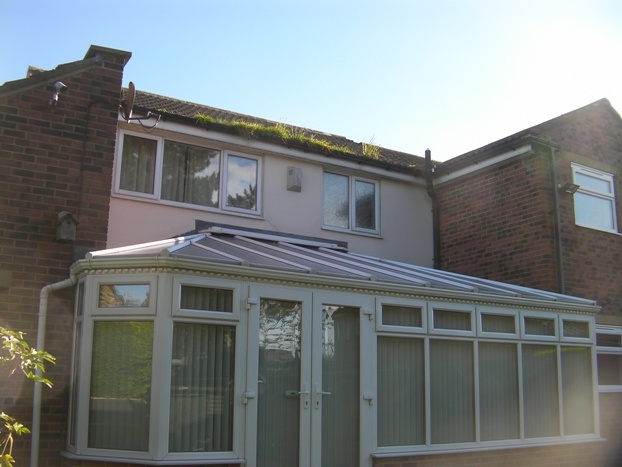 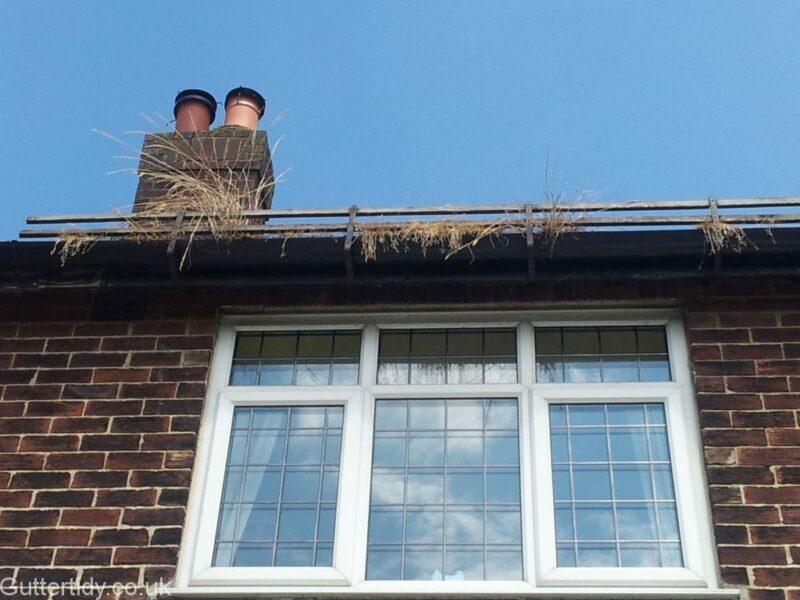 We’ll make sure we pass your details onto anyone who we hear is looking for support with their gutters. 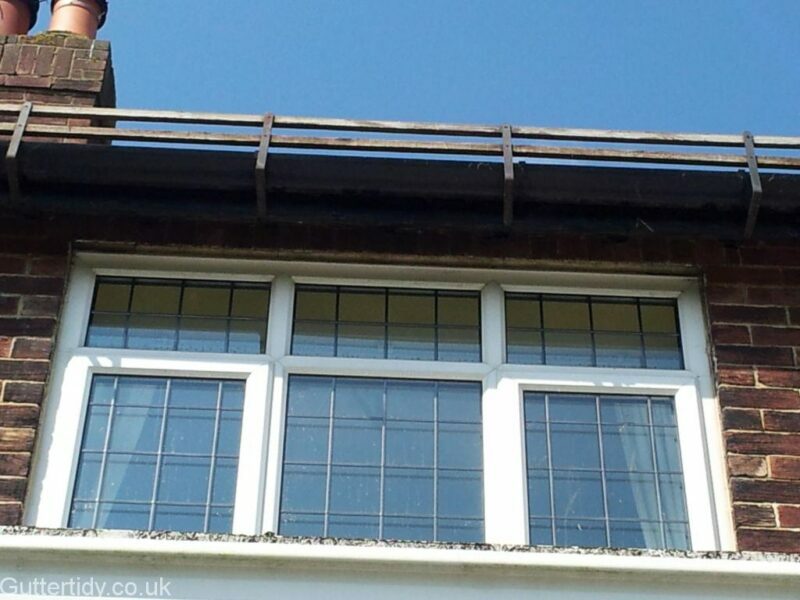 Have a great 2018 in the meantime.